Agreements are legal documents that are used in a lot of important legal proceedings. 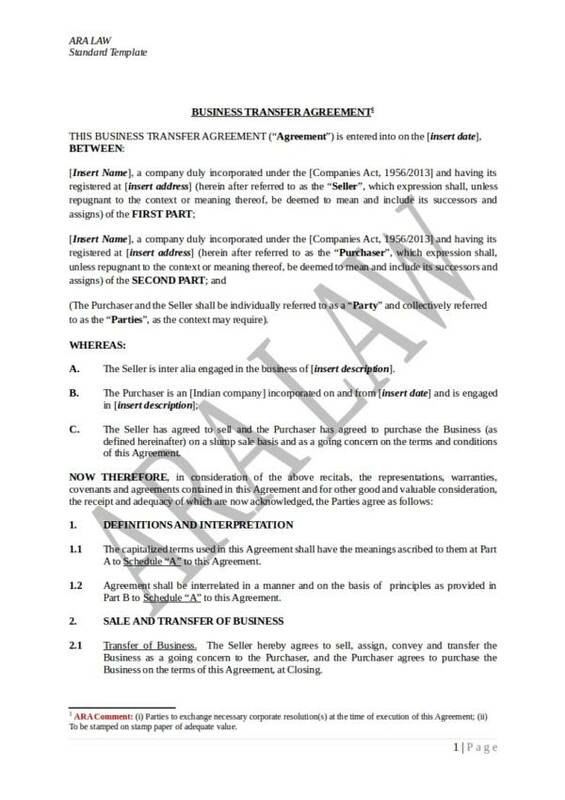 Almost any business industry use agreements in conducting business contract agreement transactions of any form. Through agreements, a lot of transactions are made successfully and conveniently. This is because once agreements meet the necessary criteria, they become enforceable in the court of law. This means that if the agreement is legal, then both parties will be dealt with by the law for any violations. 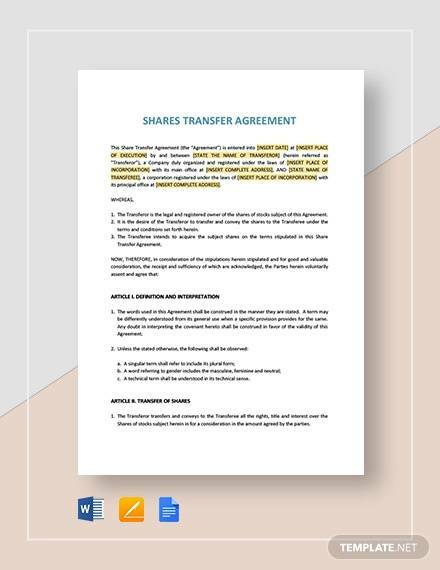 In this article, we have here another important agreement templates document that is also used by different industries and it is called a n agreement of transfer. Sounds familiar, doesn’t it? We will get to learn about what an agreement of transfer is, what it is used for, the advantages of the template and many more. Agreement of transfer templates are also provided to be used as one’s reference or visual aid while learning about it. Check them out below. 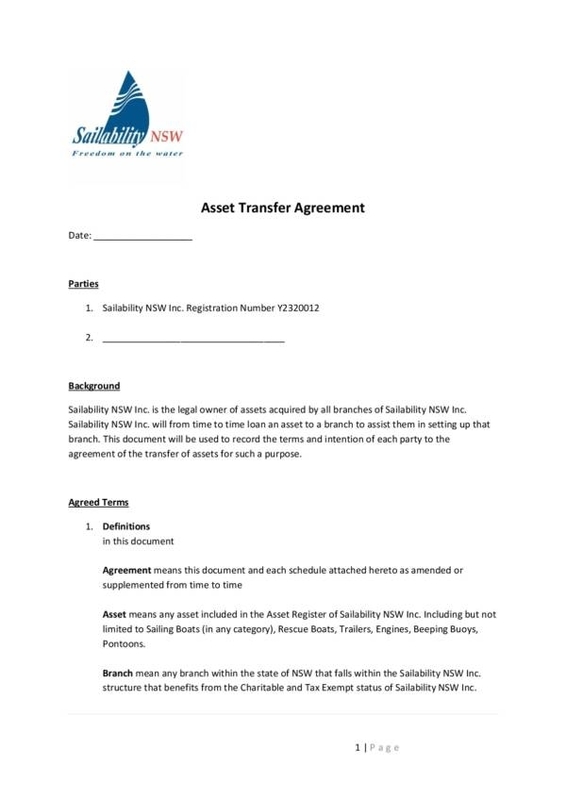 What Is Meant by an Agreement of Transfer? As its name implies, an agreement of transfer is an agreement that is created and used in order to legally transfer the ownership of something from one entity to another. Even when a transfer is made with a consent, without a transfer agreement it just can’t be authorized. There are a lot of different things that require an agreement of transfer in order to be successfully and legally transferred. There are also many uses of the document and we have made a list of these uses below. Agreement of transfers are used in transferring the ownership of a certain property, such as a real estate property, from the name of one person or entity to another and that the transfer is done legally. The agreement is only used when two or more parties come into agreement about the transfer of certain products, goods or services. The agreement should never push through unless there is a single party who opposes it. Otherwise, the agreement will not be deemed valid or legal. The agreement also distinguishes that the owner of the property is who he clams himself to be and not someone who is just making claims. It is also a way for the parties involved in the agreement to tell whether there is truth to the transfer or not. An agreement of transfer is is used in transferring the ownership or licence of a certain product or trademark after it has been sold and purchased by another entity. The provisions of the transfer is stated in the agreement. This makes the transaction clear and understandable for the parties involved. Through these provisions, the parties involved are able to determine their duties, responsibilities and limitations while in the agreement. 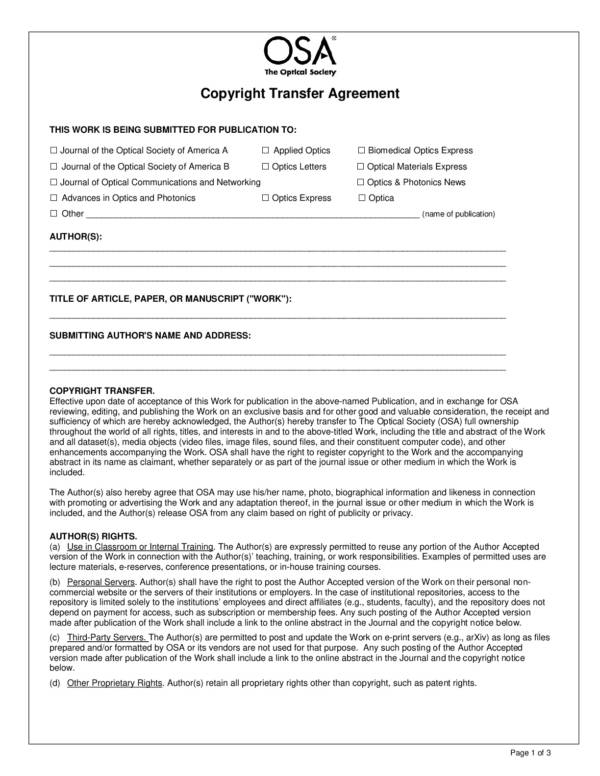 Copyright transfer agreement is an agreement that used to clearly define if the other entity is getting full rights or partial rights to the copyrighted materials. What other uses of an agreement of transfer do you know of? There are surely a lot of other uses of a transfer agreement out there other than the ones listed above. You can learn more about agreements if you check out other related topics and some samples and templates about agreements. We offer different varieties of agreements on our website that you can download and use for free. Some of the titles that you might find interesting are Indemnity Agreement Samples and Templates, Joint Marketing Agreement Samples and Template, and OEM Distribution and License Agreement Samples & Templates. 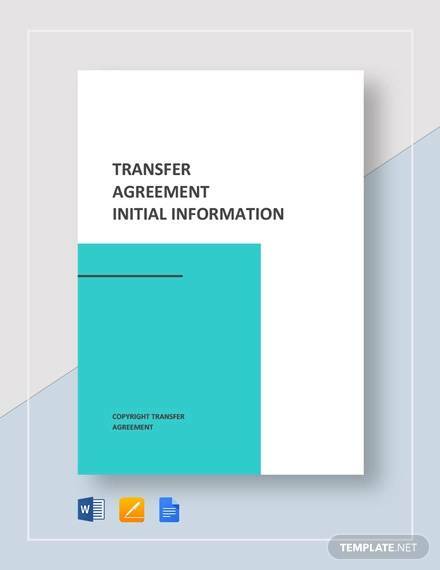 What Are the Parts of an Agreement of Transfer? It is very important to be familiar with the contents and inclusions of all legal documents and that includes and agreement of transfer. It is because a single mistake or a single missing detail or information can change the entire purpose of the agreement and may be used against you even if you have not done anything wrong. Loopholes in an agreement can cause a domino effect, which opens more chances of finding more loopholes. Don’t get tricked and don’t become a victim. 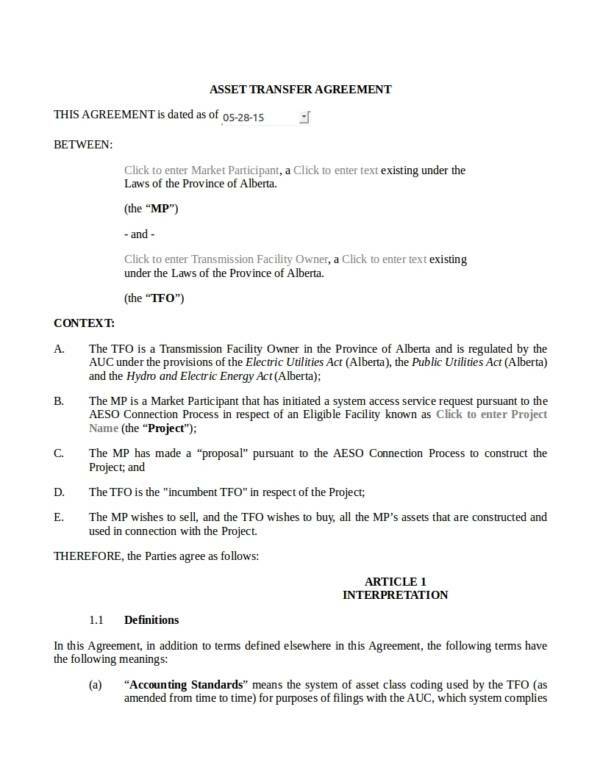 The following are the parts of an agreement transfer that you should know. 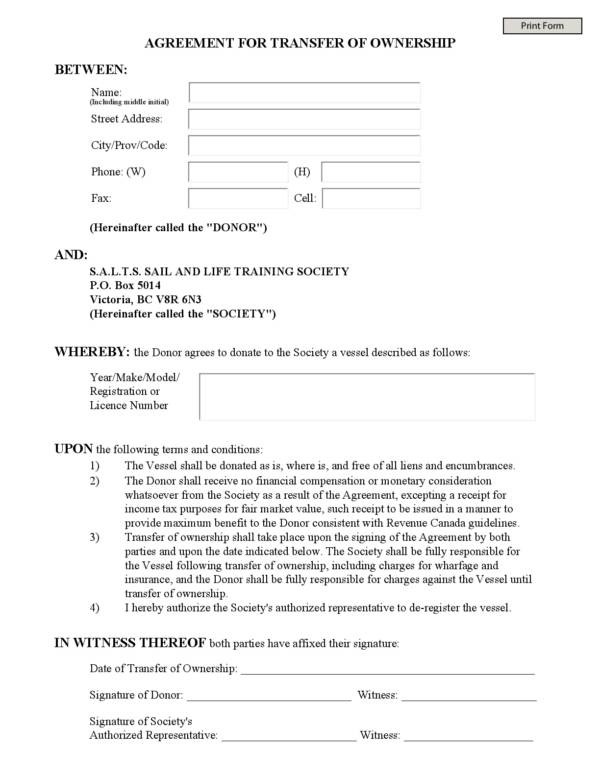 The heading or the title bearing the words agreement of transfer, which allows anyone to easily identify the document from the rest of the other documents. The general information of both the offering and receiving parties involved in the agreement of transfer such as their names, legal addresses, city and country, contact details, etc. A detailed description about the property, item or thing that is going to be transferred from one owner to another. The details included would depend on what is being transferred to another person or entity. 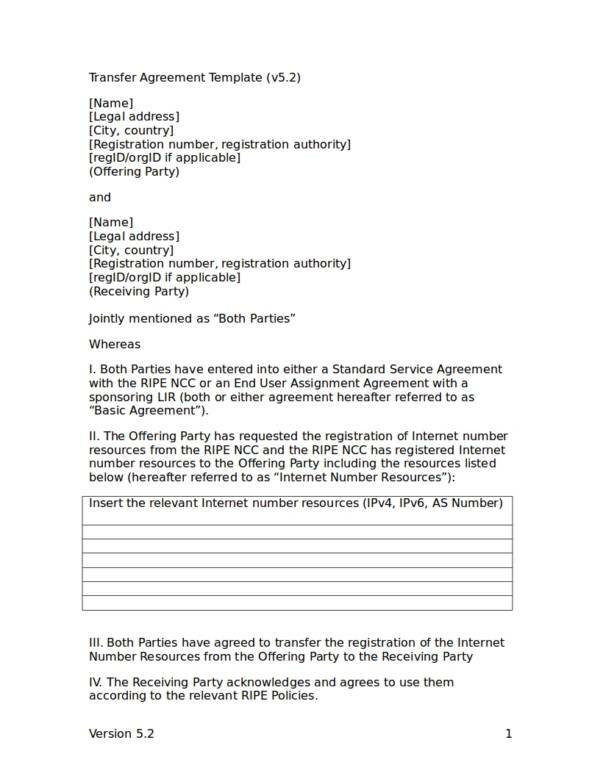 The name and signature of both parties involved in the agreement, which is usually found at the bottom part f the last page of the agreement. This indicates that both parties are knowledgeable about the transaction and gave their consent to it. 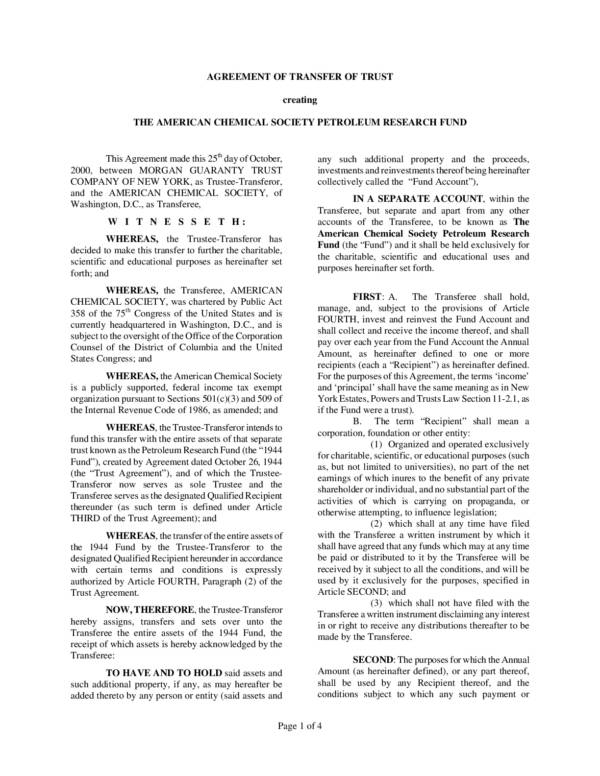 The name and signature of the witnesses of the signing of the agreement of transfer. The date when the agreement was signed by those who are involved. The inclusions or parts of an agreement of transfer is almost similar to that of other agreements in existence. Their differences are only found on those parts that are specific to what their use. You can learn more about agreements and other related topics by checking out the agreement related articles we are offering there. 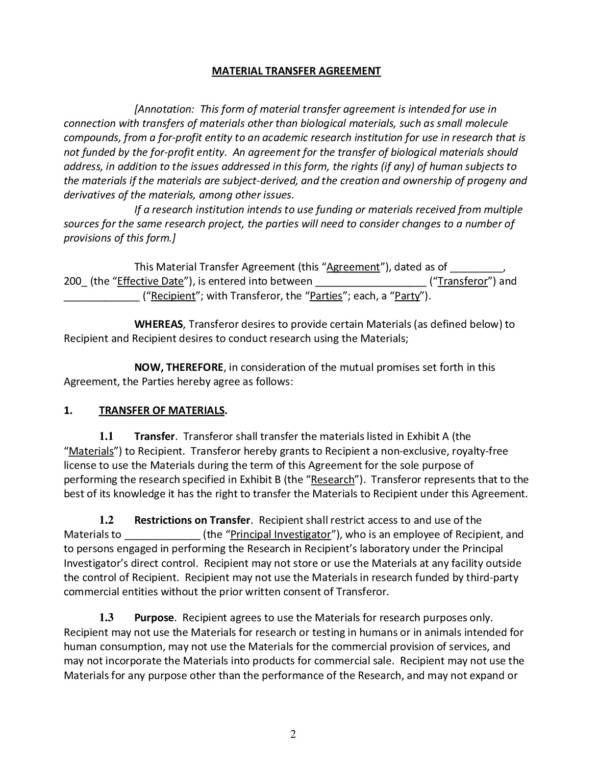 We have articles, like Marketing Agreement Samples and Templates, Terms of Service Agreement Samples & Templates, and Enterprise Agreement Samples and Templates . Are you wondering why an agreement such as an articulation agreement is discussed together with an agreement of transfer? The reason is simple. 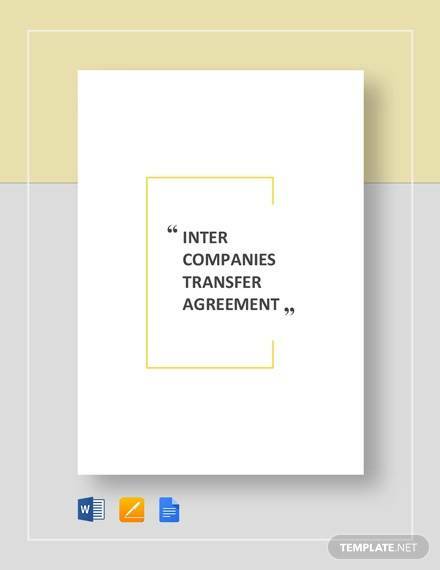 There is actually some sort of connection between the two agreements and it has something to do with transfers. It is the kind of transfer done in agreement of transfer. An articulation agreement is a type of education partnership where schools or universities agree to accept the credits that an individual has earned from other institutions aside form their own. If you have tried transferring schools or universities before, then you might have experienced how this agreement is being practiced in different educational institutions. The articulation agreement is a means to predetermine which of the credits can be transferred in full or in part to online degree programs. This also helps individuals earn their online degrees faster. Other agreement related topics you may also find interesting and useful can be found on our website. To name a few are Partnership Agreement Short Form Samples and Templates, Shareholders Agreement Samples and Templates, and Dealership Agreement Templates. Legal agreements are one of those documents that should be created or drafted by experts, like lawyers and other professionals who are working in that industry. Because of this we find creating agreements difficult and costly. There is actually another way for you to have an agreement without having to spend much and that is through agreement templates. Check out some of its many advantages below. 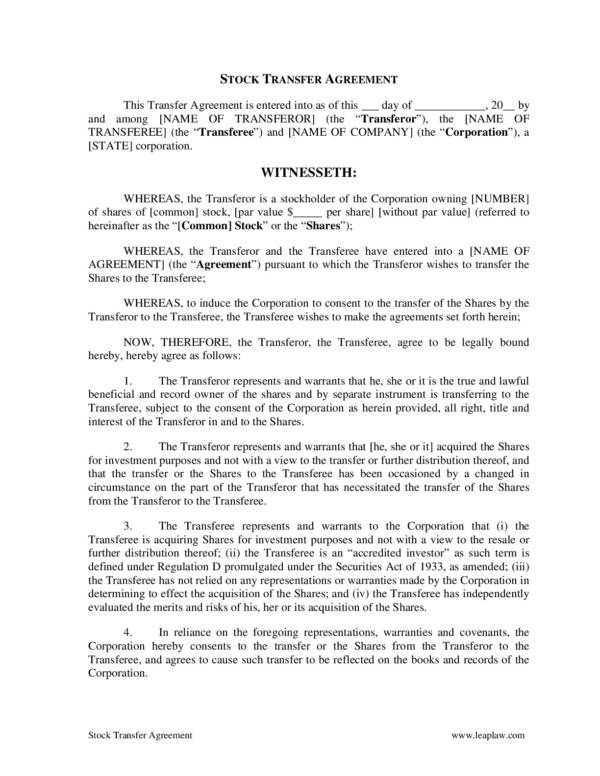 Agreement of transfer templates are convenient and easy to to use agreement documents. 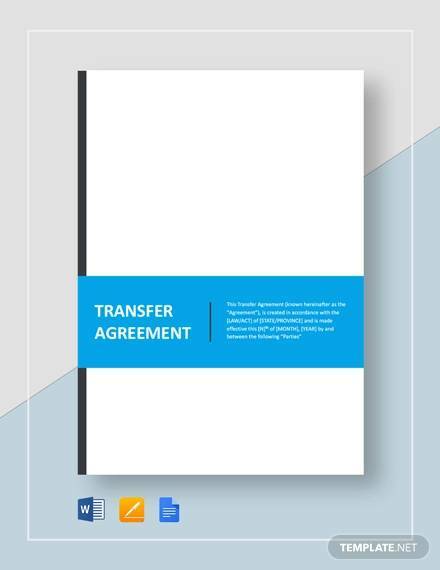 If you need to create an agreement of transfer quickly, then you can turn to this agreement template. 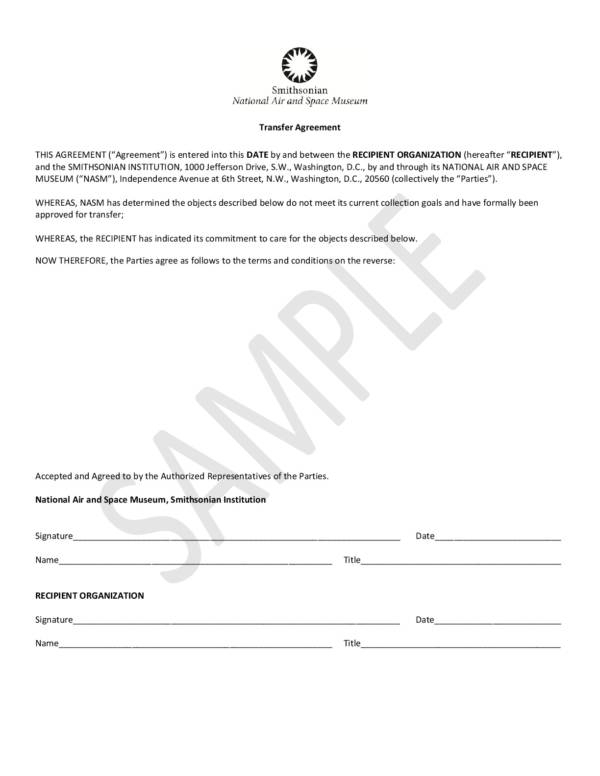 You can be sure to produce a reliable and effective document out of this template. These templates are not just made by ordinary people, they are created by professionals who wish to share and help those people who need them so you don’t have to worry if they are legit or not. The template includes a complete set of information so you will surely be able to produce an agreement that covers everything that you want to be included in it. Imagine all the details that you would forget if you create one from scratch. 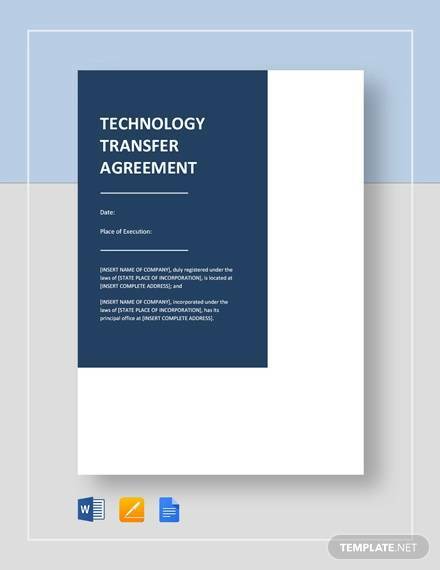 There are many transfer agreement templates available online, mostly for free download so you will not have a problem looking for it. There are even different varieties that you can choose from. If in case you can’t find what you are looking for, then edit some parts of an available agreement to make it exactly what you need. Just make sure that you make the changes accordingly and not make any major change to what the document is all about. Using an agreement template will definitely help you save a lot of time, money and energy. Those are the things that you actually want to be able to save on. Agreement samples and templates are great materials for study or reference so if you need one for any of these needs, then you can definitely rely on the free and wonderful agreement samples and templates that are available to you. 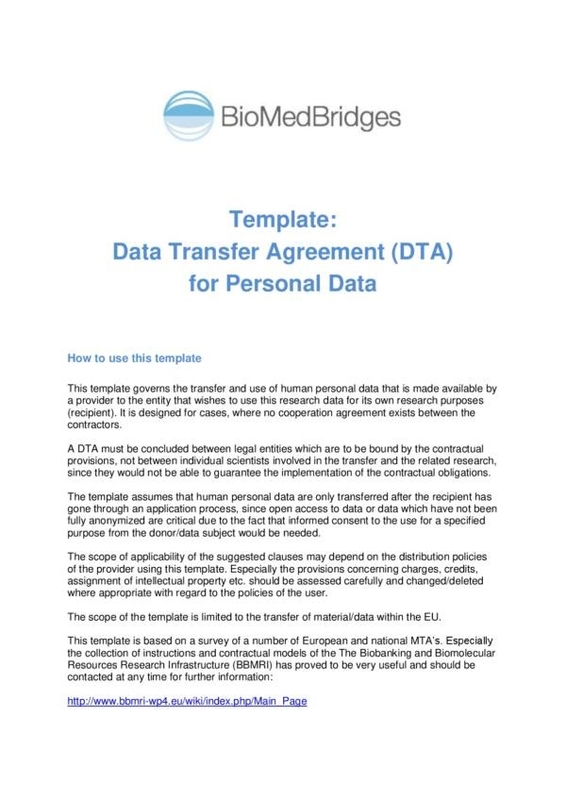 The next time you need an agreement, why not look up some agreement templates that are available to you? They are easy to use, convenient and most of all reliable. Check out available agreement templates on our website, like service agreements, separation agreement templates, and commercial loan agreement templates.